Organised with an objective of serving as a friendly and inspiring platform for ecologists early in their careers, YETI or the Young Ecologist Talk & Interact conference recently concluded in Bangalore. 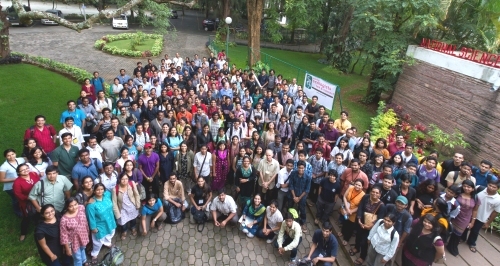 The conference had invited participation from ecology students and researchers in India to present and discuss their work, exchange ideas and strike up collaborations with contemporaries across the country. Several professionals and their organizations gathered to support YETI this year. The organizers of YETI 2010 were attached to the following institutions: Centre for Ecological Sciences (CES) – Indian Institute of Science (IISc), National Centre for Biological Sciences (NCBS) – Nature Conservation Foundation, Ashoka Trust for Research in Ecology and the Environment (ATREE), Wildlife Institute of India (WII) and Centre for Wildlife Studies and coordinated the activities for the event. YETI 2010 was open to all professionals who have been involved with science and practice of ecology within the country. Students and researchers were particularly encouraged to use this forum to showcase their work and network with scientists in the region. All three days of the conference were initiated with plenary session, followed by the discussions and parallel sessions of speed talk, poster presentation and oral presentations. Throughout the conference, participants exchanged ideas among their peers and also attended sessions where they could learn about the ongoing conservation and ecological programmes across the country. Event attendance met the expectations of the organizers as there were more than 100 participants from all over India, all of whom contributed to the robustness of the conference with their wide-range of research experience. The first day started with a plenary talk by Dr. Ravi Chellam, Director, Wildlife Conservation Society–India. He discussed about the development of wildlife research and integration of science into conservation in India and also emphasized on how Indian conservation biologist should redefine themselves to do much better quality science in order to achieve results in their conservation efforts. A series of discussion and workshop sessions were also held. One of the workshop that attracted maximum participation was, “Asking the Right Question”, by Dr. Renee Borges. The workshop was designed to examine the difficulties of asking the right question in science in general and in ecology in particular. The discussion session that appealed a lot of scholars was related to tools, resources and skills for a career in ecology and research. This further integrated photo-documentation, camera trapping, use of videos for research, maintaining natural history collection etc. A well awaited documentary, “The Elephants of Kaziranga”, was screened on the first day of the conference. The short, educational, science documentary was based on the social organization and the daily life of Asian elephants in Kaziranga National Park, Assam. The documentary was made by the students of CES, IISc. YETI was used as the forum to screen it for the first time in public. Habitat ecology, captive ecology and many more. Though it is beyond the scope to summarize all the presentations, the organization of the conference indeed deserves to be complemented. Learning about the studies being undertaken by various researchers was particularly helpful, as it provided vast information from a wide variety of sources. These experienced researchers conveyed so many wonderful ideas in only a few short minutes allotted to each one of them. Some of most of the information they shared would not be available in the classrooms of the universities anytime in the near future. Moreover, attending this conference also gave an opportunity to meet with experienced as well as novice scientists and ask questions regarding my interest in Human Wildlife Conflict. YETI is symbolic of the work ecologists do: search for the mysterious and unknown in the natural world, always in the hope that there is something exciting to be discovered just around the corner. To conclude, attending the conference was a good opportunity as it helped me share ideas and gain knowledge. The conference gave young ecologists like myself first hand information on the state of affairs out in the field, an opportunity to network with professors and other scholars and hone our presentation as well as analytical skills. YETI 2011 will be held in Guwahati, Assam. Editor’s Note: Biba Jasmine Kaur is a post graduate in Biodiversity & Conservation from Guru Gobind Singh Indraprastha University, Delhi and was a participant at YETI 2010. Her area of interest include biodiversity conservation and the human wildlife conflict. Hello, I want to know the details of this year YETI?? ?